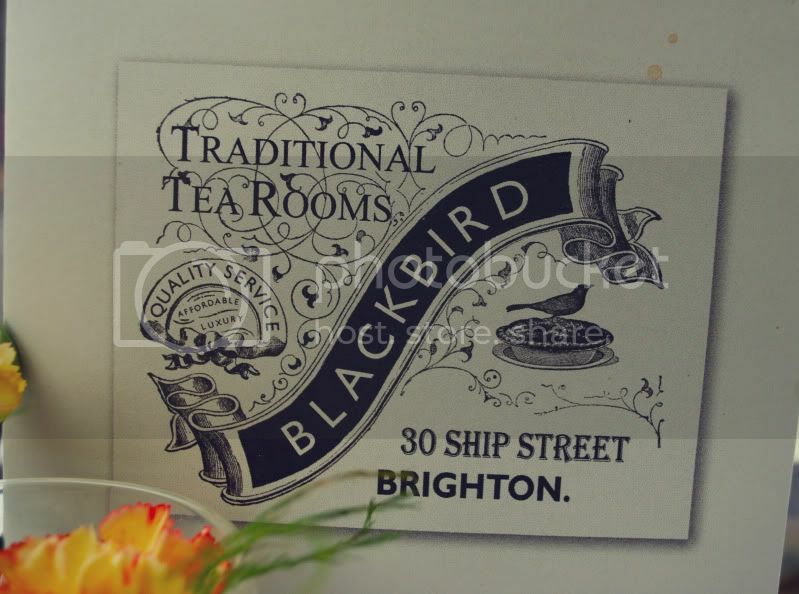 Blackbird Tea Rooms - A Slice of Brighton's Past! I've been in Brighton for a couple of days on tour with the Gorilla Perfume bus. Stay tuned for a post about what we've been up to, and how beautiful all of the new fragrances smell. Until then, I've got INCREDIBLE NEWS about a new tea room in Brighton. 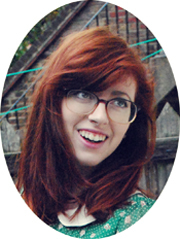 In case you hadn't already noticed, my life is spent in constant pursuit of whimsy. When it comes to anything twee, I am basically sold. That said, I like to think I can be at least a little bit discerning with these things. Perhaps I am a connoisseur of whimsy. I like that title - let's stick with that. My stepdad, Andrew, had been recommending me Blackbird for a while, and yesterday seemed to be the perfect time for a vintage pick-me-up. 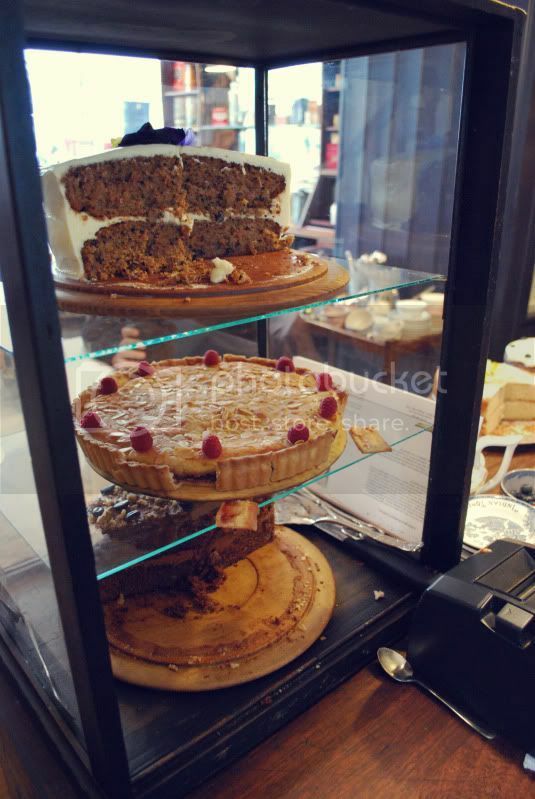 Blackbird is situated on Ship Street, nestled among several other lovely cafes and eateries. There's Marwood which caters to the slightly scruffy, absurdist, coffee aficionado, Cafe Coho which is much more slick and trendy-looking, as well as Bagelman (my all-time favourite Bagel shop on the planet). I love all of these places, and I really hope that they ALL manage to survive in a competitive area! 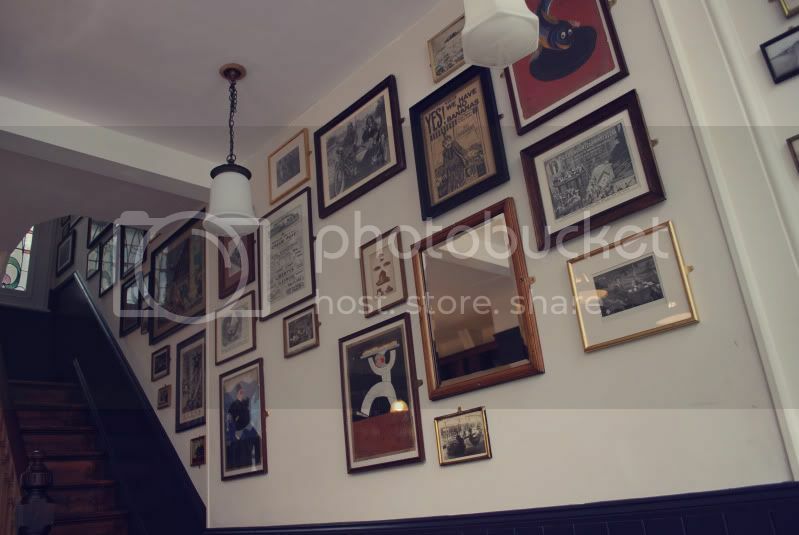 The interior of Blackbird manages to address my craving for all things vintage, whimsical, and ever-so-twee, whilst still seeming somehow 'fresh'. 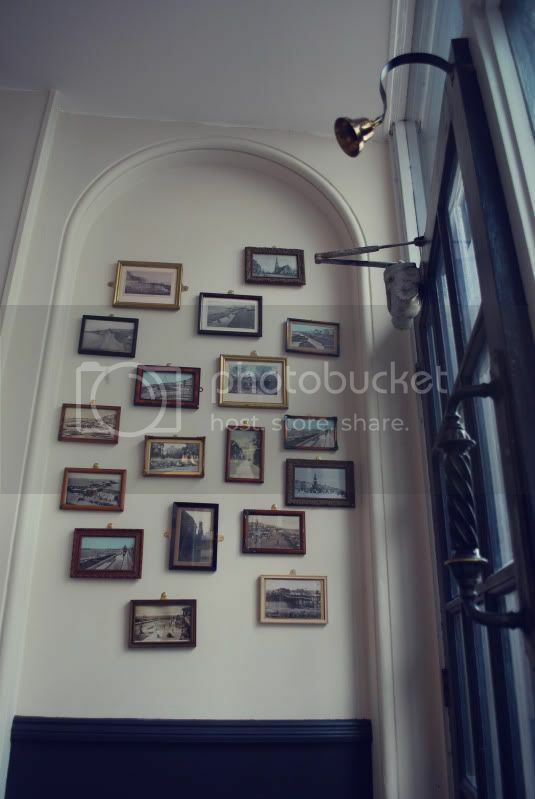 It's very easy for a vintage-style tea room to become cloying or sickeningly twee, or aggressively vintage. 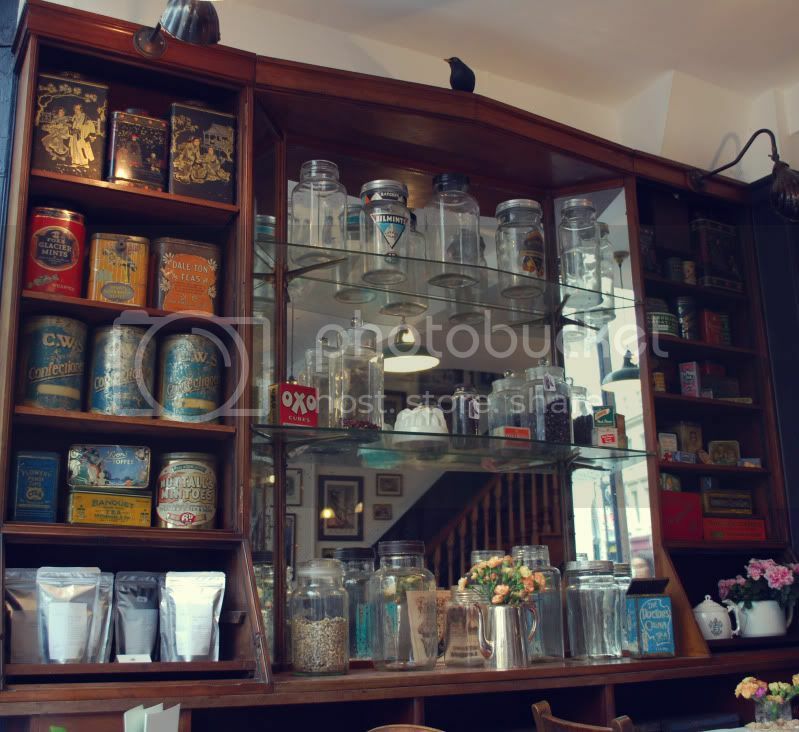 Blackbird avoids this completely, pairing the vintage collections of photos, postcards and tea paraphernalia with white walls and mirrors, giving the place a light and airy atmosphere. Andrew and I chose to sit by the window which gave us a good view of the Fabrica gallery as well as some of the cafes I mentioned above. All of the china is vintage, and matches in a delicately mismatched sort of way. I really like mismatched crockery. In fact, I'm a big fan of mismatched EVERYTHING!! 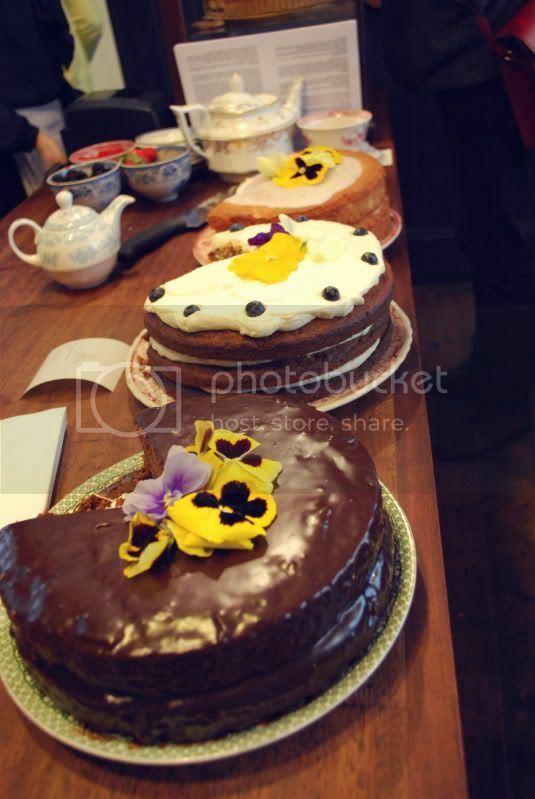 The menu offered a suitably vintage array of cakes, teas, and savoury snacks. The couple at the table next to us ordered some gorgeous little sandwiches which came cut into triangles and carefully arranged on plates. I was very tempted but it seemed like a tea-and-cake sort of an afternoon. 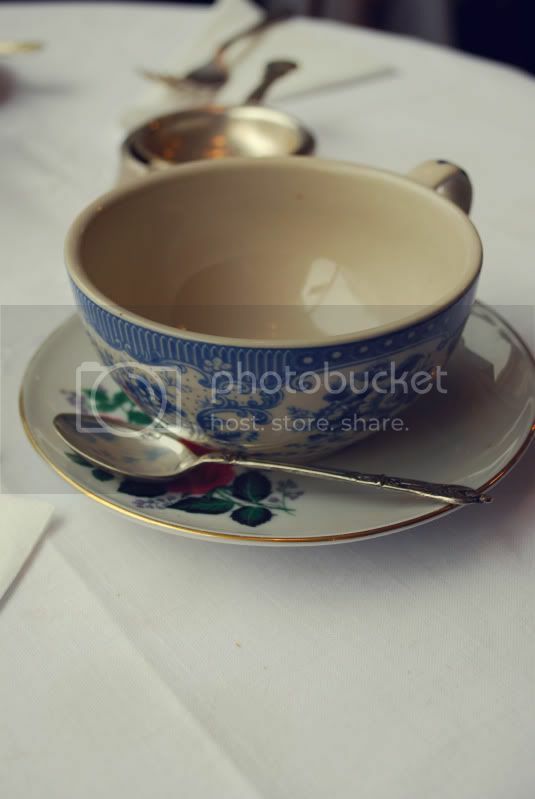 We ordered a pot of Earl Grey for two. Andrew had a slice of the Blackbird cake, the cafe's signature cake which was essentially a Victoria Sponge with blackberry jam instead of strawberry jam. I tried a bit and I've concluded that I prefer this sort of Victoria Sponge to the original type. I ordered a coffee and walnut cake, which was fluffy and perfectly sweet. Both cakes came with mixed berries scattered around the plate. We all know how much I love cake, and this cake was mindblowing. Yes I know, this is two photos of the same cake from different angles. Rather gratuitous, I know, but it was a glorious cake and as such it was necessary to capture its wonderment! In the background of the photo on the right, you can see the Blackbird cake that Andrew ordered. As we paid, the beautiful woman at the till asked me if I was based in Brighton as they are starting up a craft evening. I was heartbroken to have to tell them I lived in London now. Can I justify moving back to Brighton so I can drink tea, eat cake, and do some knitting with these lovely ladies? 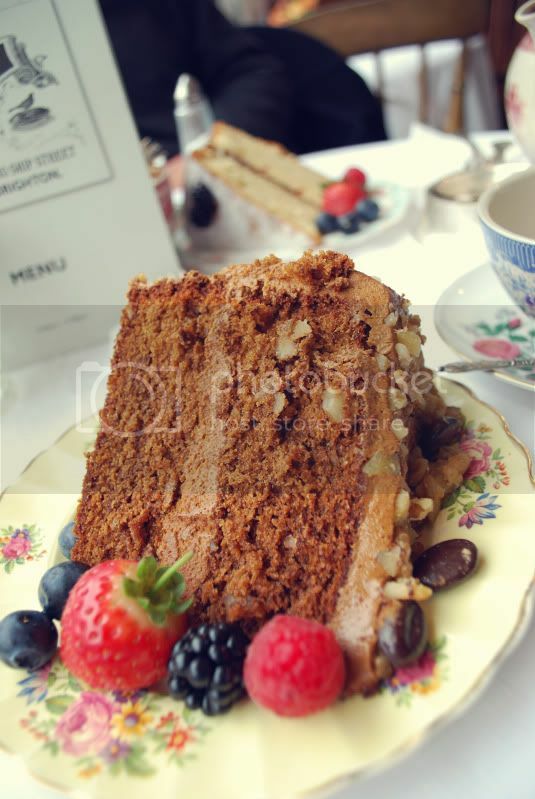 You should check out their website and facebook page for more photos and information - this may well be my favourite vintage tearoom in the country and I've been to a fair few! 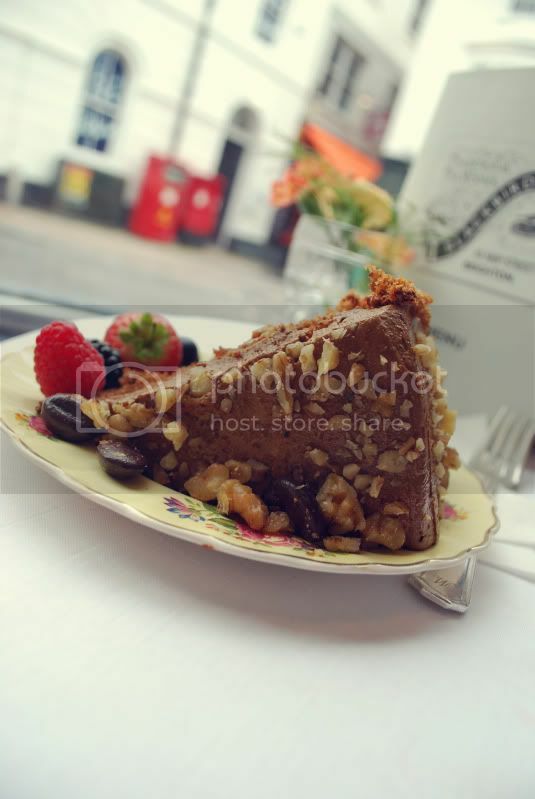 I will definitely be visiting again when I'm next in Brighton, and so should you - especially if you love all things vintage, waitresses with victory rolls, incredible cake, and a well-decorated toilet! (Yes, even the toilet is perfect!) I'm in love! What a lovely post! Thanks so much for visiting and do come back again soon! It would be lovely to see you! I went for afternoon tea at The Blackbird for my birthday and it's so wonderful! 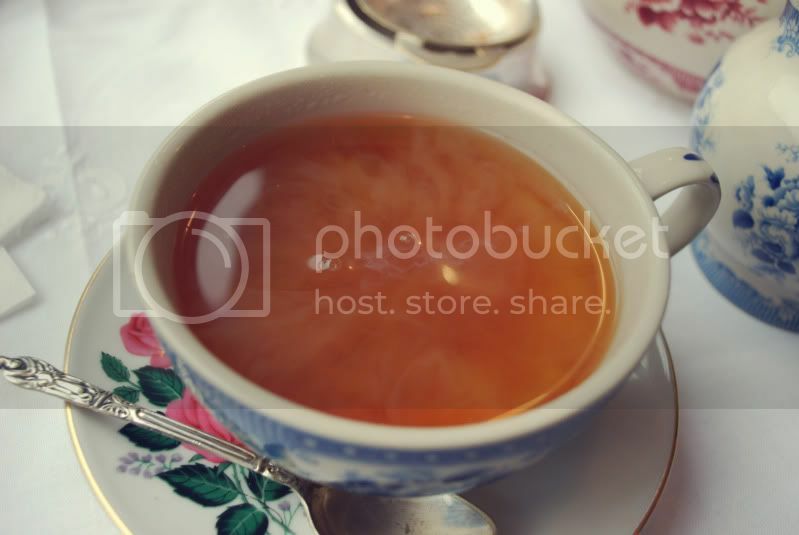 I absolutely adore their vanilla tea and can't help dreaming about it. Such a great place to pass an afternoon in. Learn to make: RAINBOW CAKE!